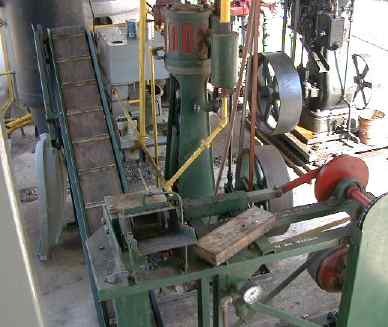 The display of stationary steam engines is run from a large common vertical boiler. There might be as many as a dozen engines, large and small, running at the same time. One of the larger engines runs a can crusher and another nearby operates a conveyer to drop the crushed cans into a recycling bin. If these engines are going to run for the amusement of the public (and the operators), then they might as well do something useful. Cans are fed into the input hopper by hand and then automatically fed into the crusher chamber. The can is then ejected and falls on the conveyor. This is a model of the earliest type of vertical steam engines, first patented in 1797. They were typically used in collieries for any sort of power that was needed. 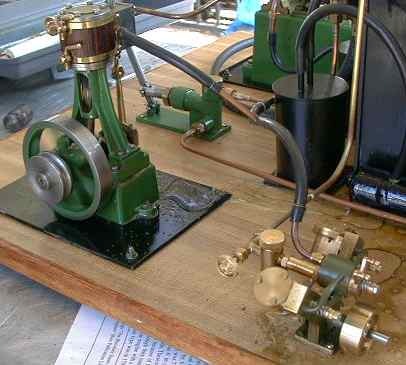 This is a model of a walking beam engine, first implemented by James Watt. The walking beam parallel motion approach allowed for straight line motion of the piston rod. These engines were first used in the very early 19th century. These two smaller samples are models of engines originally designed for marine use in the 19th and 20th centuries. 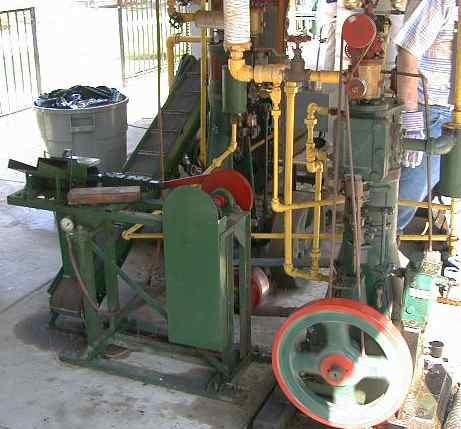 The vertical engine was also often used to power small factories or electrical generators. 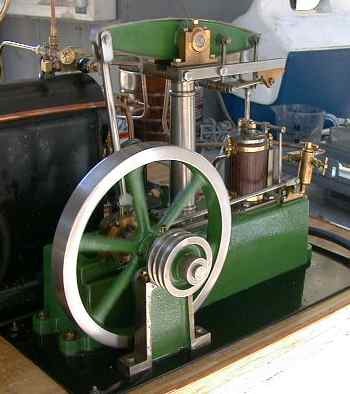 The V-twin is an oscillating cylinder type often used in paddle steamers. This particular model is intended for use in live steam model boats. These engines and several of the others are mounted with their own boiler, but this day, they were running off steam supplied by the main steam plant. 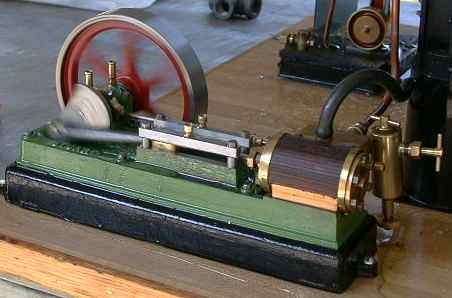 This is a model of a horizontal steam engine that was used to power small factories throughout the 19th and 20th centuries. This model was running really fast as the camera could not stop the motion of the flywheel. 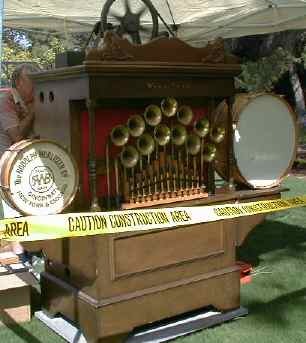 For the 1999 Fall Meet, this 1921 vintage Model 125 Wurlitzer Military Band Organ was brought for display. It was playing most of the time. 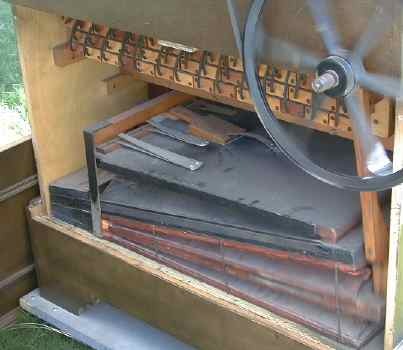 The Band Organ runs like a player piano with a paper roll that controls what it plays. 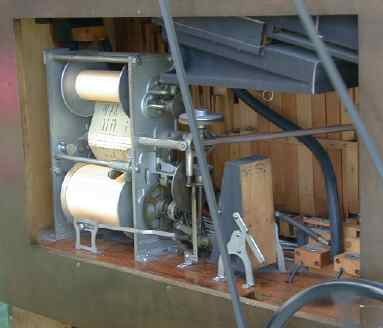 When a slot in the paper tape runs past a manifold of holes and exposes one, air is let in an operates a valve which then lets pumped air blow a horn or operate one of the percussion instruments. 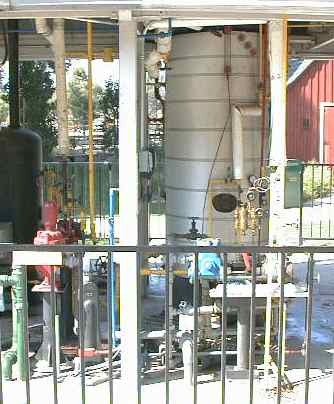 Air is supplied by a pump and storage chamber arrangement. The lower bellows pump pressurized the upper storage chamber which in turn expands or contract depending on the demand for air. If the chamber fills completely, a "pop off" valve opens (the wooden feature that looks like a paint brush) and exhausts the excess air. 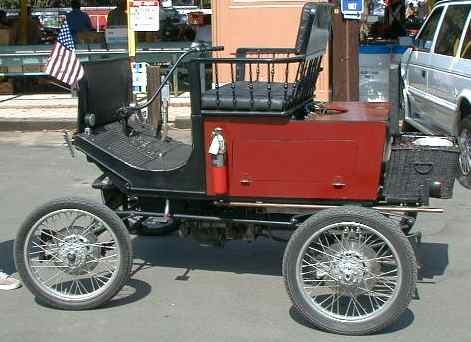 This 1901 Locomobile was not exactly static. Actually it was running all round the place and even out onto Zoo Drive (the car is street legal). It is not completely stock as it has disc brakes on all four wheels and the necessary lighting to make it legal.